No wedding is complete without the perfect flower arrangements, as flowers and blooms add a unique touch to your wedding venue, flowers add color and a personal touch to your wedding decor, as they can be used in different ways and occasions other than weddings, such as engagements and bridal showers. Brides and grooms like to pick the colors of their wedding flowers to go with their overall wedding theme, brides pay attention to the flowers that will be used to decorate their wedding Kosha, wedding centerpieces, and of course their bridal bouquet. 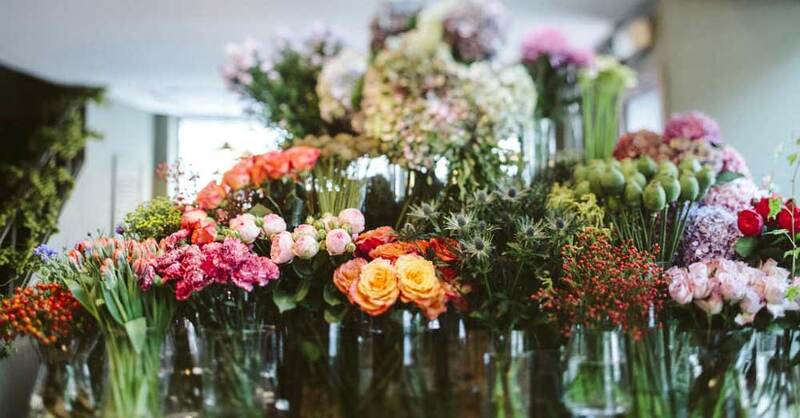 If you are a bride getting married in Egypt, specifically Alexandria you are probably looking for some of the best flowers shops and florists there, we have a list of the top florists in Alexandria. This flower shop offers beautiful wedding and event flower arrangements, as well as other garden landscaping services, the place has been awarded at the Alexandria Agricultural Fair in 2001. Pansee Flowers offers a team of professional planners who will take care of your wedding decor, bridal bouquet and flower arrangements, they also offer gift wrapping services. The flower shop offers an innovative range of modern and innovative ideas for flower arrangements for weddings, engagement and various occasions. The shop also offers a range of plants and flowers to decorate houses. The flower shop which is very popular among brides is dedicated to the use of high-quality flowers, both natural and artificial flowers. The flower shop is located in San Stefano Mall in Alexandria, they offer all sorts of flower arrangements for your weddings and events. Established in 1978, and owned by the El Ghaity family, the shop offers all kinds of flower services for all your events.